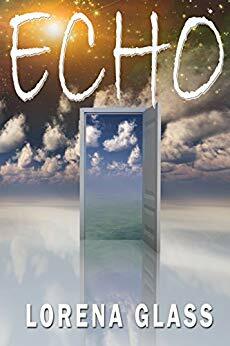 Echo is the story of two lovers who are under a curse (the story will bear this out). One of them always loses the other, tragically. But the two of them learn to beat the curse: whenever one dies, the other time travels to the lost lover’s next (or past) reincarnation. The novel spans over a thousand years, to several different times and places; and it clearly illustrates the risks one will take, the lengths one will go, and the sacrifices one will make for true love. First, I have to critique this official description. “The story will bear this out” should not need to be included in a description. I mean, isn’t that the story’s job? Anyway, the first part of the book tells the story of Karissa and Adregin. I really hated Karissa. She is an absolute spoiled brat. At one point, she complains about having to help out around the village even though these total strangers brought this really weird girl who doesn’t speak their language into their home and gave her food and shelter. She should show some gratitude. She also believes the entire universe revolves around her. Every time Adregin gets upset with her she is just all “OMG you hate me I can’t believe you!” Adregin hates her, his father hates her, his fellow soldiers hate her (even though none of them do, they just think she’s weird, which she is), but in her mind everything is always about her and what assholes everyone else is. Honestly, if I hadn’t already agreed to review the book, I would have put it down very early on because Karissa is THE WORST. She is that girl at a party you can’t wait to get away from. After the book *SPOILERS* moves on from Karissa, it is a bit more tolerable. The differences in the time periods and cultures Adregin and Karissa/Iilassa encounter show that Glass did a lot of research. What I found most interesting was the lack of science or even explanation involved in the actual time travel. Time travel romance novels are all the rage now, but how important is the mechanic of actual time travel? Does it have to be explained? Does the science of time travel have any bearing on the story? Why or why not? In this case, it doesn’t really matter. How time travel works and how Karissa knew how to find Adregin doesn’t matter to the story, at least not at this time. Some of it might be explained in a later novel, but I don’t plan on reading them to find out. This is a clean romance with no in depth descriptions of intimacy. Have you read Echo? What did you think?